Governor-elect Phil Scott is advocating a fundamental change in pension plans for members of public-sector labor unions — one that is steadfastly opposed by the unions themselves. Currently, public school teachers and state workers receive “defined benefit” plans, which establish certain retirement benefits to be received by each worker. Scott favors a “defined contribution” plan, in which the state and the employee would contribute set amounts, which might or might not cover the cost of a retiree’s golden years. Scott would allow current staffers to keep their defined benefits, while future workers would fall under a defined contribution system. But as far as Vermont’s two biggest public sector unions are concerned, the notion is a non-starter. “We are steadfastly opposed to the idea and will continue to be,” says Doug Gibson, a spokesman for the Vermont State Employees’ Association. That could mean anything from a commitment to fully fund pensions to slashing benefits for all employees. Scott’s full proposal was reported deep within a November 4 story by the Vermont Press Bureau’s Neal Goswami. It drew no attention in the closing days of the Trump-obsessed campaign season. In a statement emailed to Seven Days last week, Scott’s transition team confirmed his position. Scott’s pre-election fogginess may have obscured his intentions, but union leadership has taken notice. “We think the governor-elect’s approach would be more expensive, less secure and undermine the retirement security of hard-working public employees,” Allen says. Gibson notes the growing concern over a potential senior poverty crisis. In an age of defined contribution pensions, many Americans are not saving enough for retirement. “It’d be strange for the governor to exacerbate the problem,” he says. It remains to be seen whether the governor-elect is determined to push for the controversial idea. The state workers’ pension is subject to negotiation with the VSEA, which seems a non-starter. The teachers’ pension is established by the governor and legislature. It’s hard to imagine too many Democratic lawmakers, who depend on union support come election time, approving the change. Offering the proposal at all could poison the new governor’s relationship with the unions. Of course, confronting organized labor is a popular way for Republicans to signal their toughness. On the other hand, Scott professes not to be that kind of Republican. He has trumpeted his blue-collar roots, and likely earned a goodly share of votes from members of public sector unions. 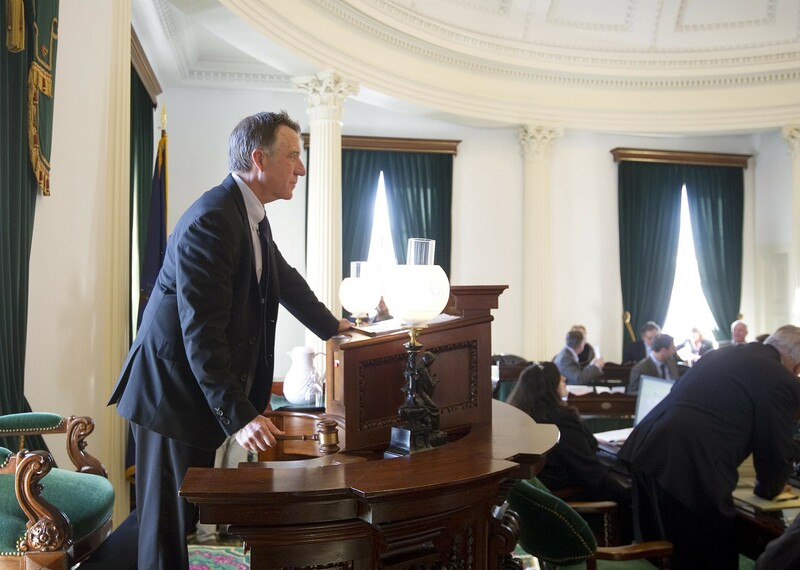 Many observers and politicos see Phil Scott as a blank slate. This relatively obscure issue may prove to be a defining moment for his new administration.